Is EMLA Safe for Dogs? 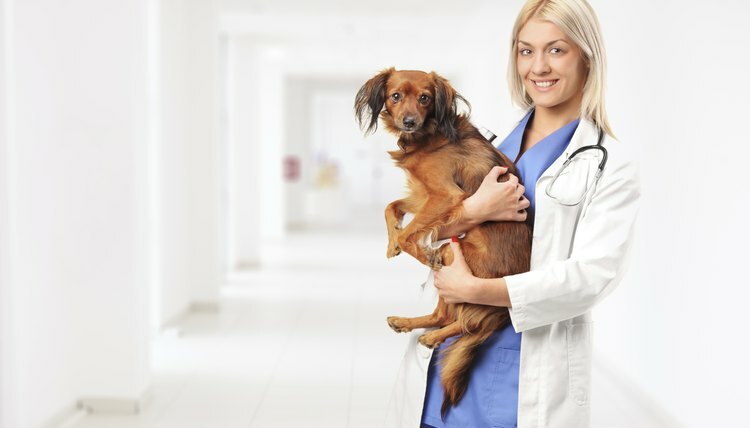 If your dog suffers a laceration requiring stitches, or if your veterinarian needs to take a skin sample, a topical anesthetic on the skin ensures that the animal feels little, if any, pain during the procedure. Used as a local anesthetic for human use, EMLA cream consists of 2.5 percent lidocaine and 2.5 percent prilocaine. Manufactured by Astra Zeneca, the cream is marketed generically as lidocaine/prilocaine. Veterinarians can use EMLA "off-label" to treat their patients. In a study published in the March 2008 issue of "Veterinary Dermatology," the effects of EMLA cream as a topical anesthetic were analyzed on 25 dogs prior to skin biopsy. Six of the dogs experienced skin whitening from the cream, while two dogs exhibited minor skin abrasions. Overall, the study concluded that the agents contained in EMLA were well-tolerated. While it's possible that a dog could experience a minor skin reaction after topical application of EMLA, the medication is considered safe for most canine use. The Merck Veterinary Manual cautions against its use in newborn puppies.